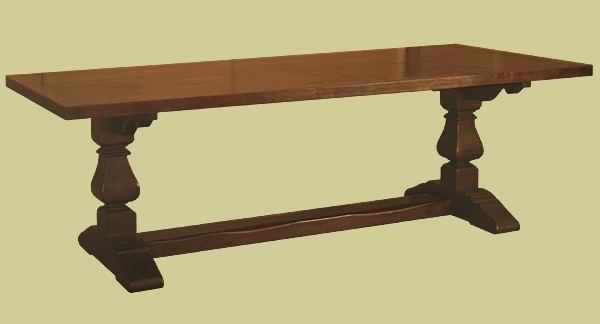 Our oak pedestal dining tables are available in a choice of designs to suit most tastes, from both our fully bespoke and semi-bespoke dining tables ranges. 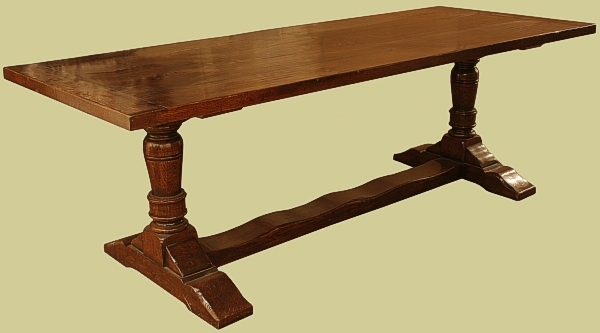 They are all handmade in England from solid oak. 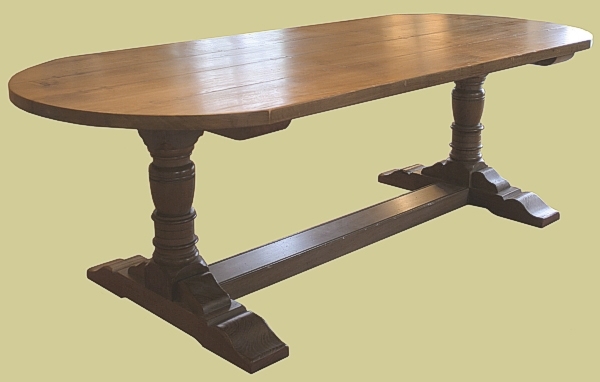 Similar in format to trestle tables, pedestal tables are so called because the top is supported on a column placed centrally across the width of the table. These columns can be hand turned in slender or bulbous shapes, or hand cut in square or octagonal cross sections. They can be single columns, or paired (see illustrations below) and sit on transverse 'beam like' shaped feet or, for single columns only, can be mounted on tripod cabriole legs. For historical purposes the former pre-date the latter. 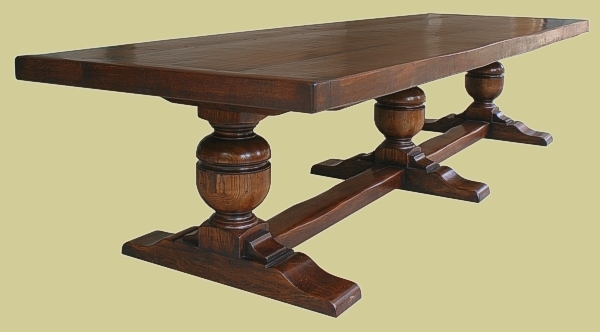 On shorter tables there will be one of these pedestal 'assemblies' at each end of the table, set in slightly to allow for end sitters. 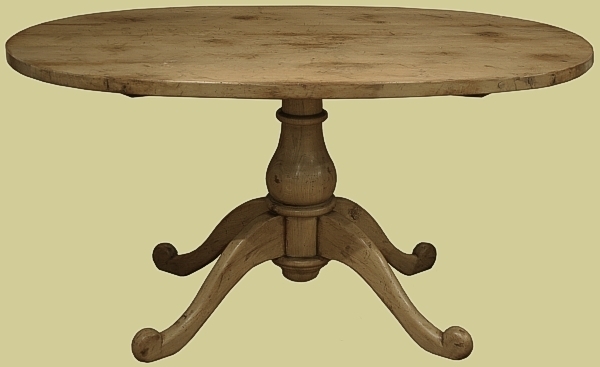 Longer tables may have one or more centre pedestal 'assemblies', to give added support to the top (see illustrations below). 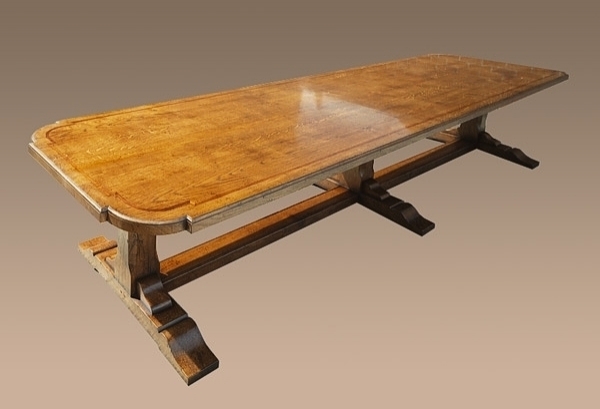 Our pedestal dining tables are extremely popular, as there are no externally placed table legs to get in the way of sitters, so there is more flexibility with seating arrangements. 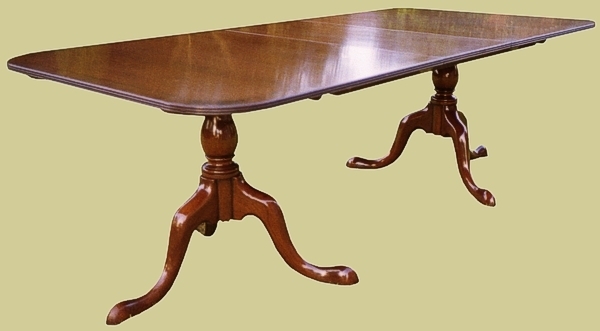 Moreover, there are no rails under the table top, so space for sitters legs becomes less of an issue.